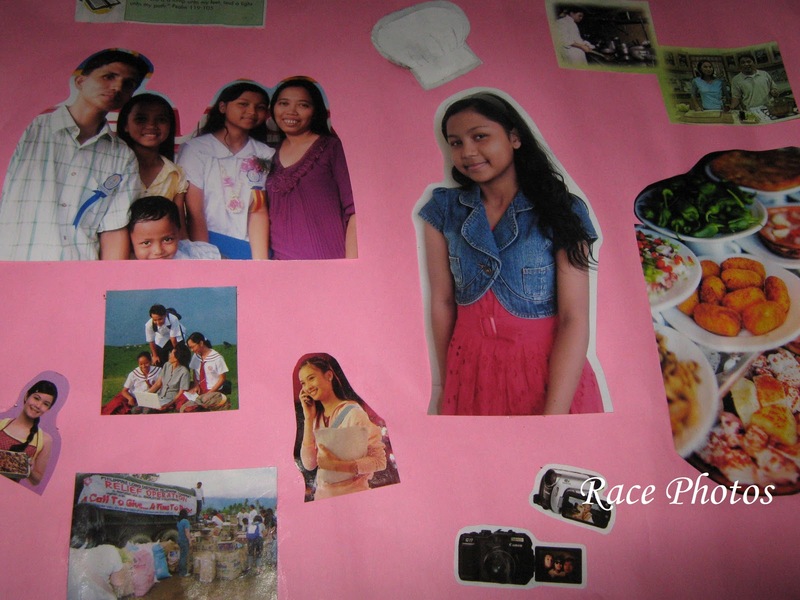 This is my eldest daughter's collage in school, a representation of her goals in life, ambition and all the things she want to accomplish. She loves cooking, photography and arts. She's good in drawing and sketching. This is only a project where they must express their thoughts on how they see themselves after 10 years. Look at the picture at the bottom left, yes she also want to be involved in charity works like helping the victims of natural disaster or feeding malnourished kids. Young as she was her mind is set already on the things that she wants to be when she grows old. She's only 13 now and in first year high. I hope and pray that all these wishes will come true. I'll just be here to guide her.